Optimizing customer experience is increasingly important. In fact, it frequently sits at the top of priorities for most online marketing strategies. The benefits of creating great experiences for customers can amount to a higher rate of customer acquisition, loyalty and retention. With this in mind, it’s not hard to see why any business should put customer experience at the forefront of its marketing efforts. 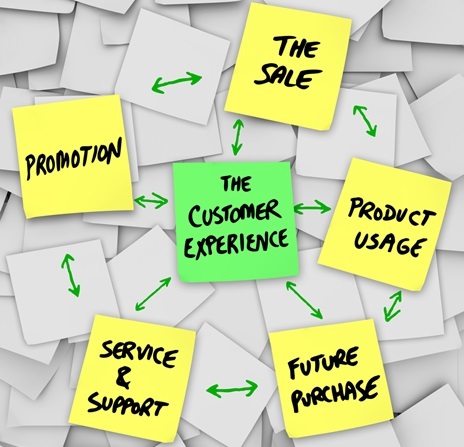 So, what is customer experience exactly? An interaction between an organization and a customer as perceived through a customer’s conscious and subconscious mind. Sounds a little out-there, right? Customer experience is the most exciting opportunity to businesses, so if you’re not sure how to optimize your customer experience, let alone measure and optimize your efforts, look no further, as in this article, we discuss eight ways to optimize customer experience and see a positive ROI. A recent study looked into the various ways that companies monitor and optimize their customer experience. From the study, nearly half of all respondents rated visitor privacy as one of their top priorities when optimizing customer experience. In fact, 47% of respondents stated that their organization currently optimizes customer experience to ensure complete visitor privacy. It is essential that businesses keep their customer’s data completely private. And this is more significant now than ever when you consider the countless companies that have recently suffered from hacking scandals. People must be able to trust a brand – they need the reassurance that their data will be used appropriately and stored securely. So how exactly can you ensure visitors get complete privacy? Well, building a robust and secure network system for storing customer data is essential. 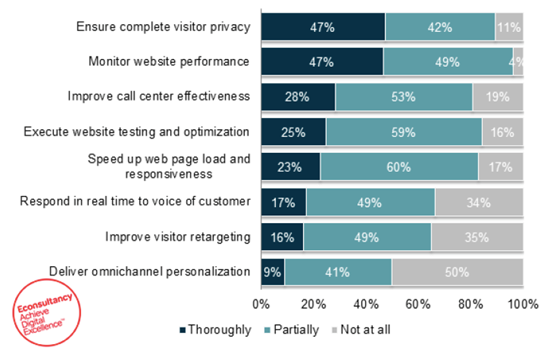 As well as ensuring customers receive complete visitor privacy, findings also showed that businesses pay close attention to their website performance. With nearly all respondents (96%) stating that they regularly monitor their website performance to improve customer experience. 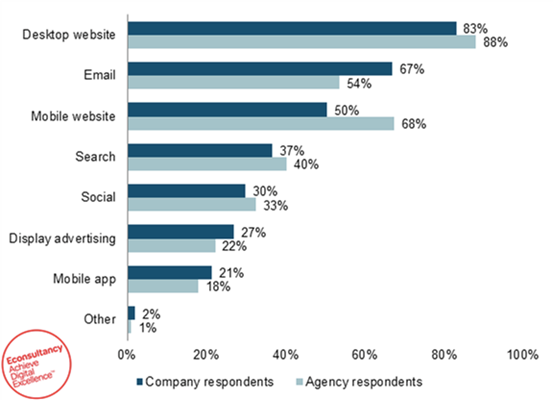 Virtually everyone expects organizations to have websites. And maintaining site performance to ensure the best experience possible for web surfers is crucial. To do this successfully, regular optimization tests are required. Does your website load quickly? Is it compatible with different screen sizes? Are there any broken links? Making the necessary changes to improve things like web page loading times and responsiveness will reap greater results for your overall customer experience. Only 28% of organizations focus on improving call center effectiveness when optimizing customer experience. That means ¾ of remaining respondents are failing to create a seamless customer experience throughout their whole organization. Optimizing customer experience is about more than just focusing online. It’s about creating a unified experience for people at every stage of their journey with your business. Whether this involves them making contact via your website, e-mail or over the phone, it’s vital that they receive a consistent message. If you have a call center, ensure they have the necessary training to give the best experience possible. And at the same time, focus on your website’s contact forms, live chat functions and customer email responses to guarantee a consistent approach is in place. Do you personalize your customer experience? Modern technology allows us to store valuable customer data, which can be used to create more personal experiences for customers down the line. It can be easy to lose a personal connection with your clients, especially when so much of business is done online. But with the information you discover and receive about your customers, you can create individualized experiences. You can use data to make future recommendations about other services and products, or creating targeted marketing campaigns to build loyalty and trust. However, it is important to ensure that this data is used appropriately and securely, as discussed in point one. Customers will quickly ditch your business if their personal data has been used against them for self-promotional reasons. With personalization, you need to ensure you put the customer at the heart of everything you do. Do you find it odd when Facebook tailors adverts to suit your recent eBay purchases? Or, even worse, do you hate seeing Facebook using your ‘likes’ to promote other businesses? There is a line with personalization – be careful to not to cross it. The majority of companies and agencies focus primarily on desktop and e-mail data channels when optimizing customer experience. Interestingly, these findings show that a large portion of valuable channels remain unused when it comes to using customer data for optimization. Customer experience needs to be faultless across all channels, so it’s essential to focus on data drawn from every platform. This will give you a better understanding of your customers, which you can use to create a more personalized and targeted customer experience strategy. Is your business website responsive? If not, why not? Did you know that 87% of millennials continuously have their smartphone at their side whether it’s day and night? Consider this for a moment – according to Google, 42% of people use smartphones to aid shopping research while they are actually in the shopping store. As mobile become an increasingly popular platform for customers to browse websites and businesses online, it’s impossible to ignore this channel when enhancing customer experience. Unbelievably, many organizations are ignoring this crucial platform with only half the percentage making improvements to their mobile sites and even less focusing on their apps. Can your business really afford to ignore such a vital platform for optimization? It is essential that the customer data you use to make improvements to customer experience touch base with your mobile platforms. After all, these are the key channels where your customers are spending most of their time today. Only 30% of businesses focus on their social media channels when optimizing customer experience, which is a significantly small number. 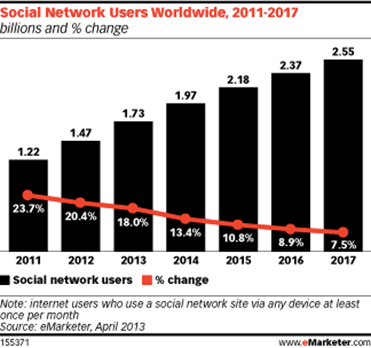 It’s a worrying statistic when you consider how popular social channels are for modern businesses. Consumers like to make contact via social media because it is transparent, immediate and easy. And they expect prompt answers too. In fact, 52% of consumers expect a response within 30 minutes. Does your business currently have a Facebook page with countless customer comments that are being left ignored? If yes, it’s a big concern. Reply quickly and promptly and you can win new admirers and clients. On the flip side, ignored comments and queries on your social media pages are visible to everyone, which could be highly damaging to your brand reputation. This final, but essential step, focuses on the need for a Single Customer Profile (SCP). Less than a fifth of organizations claimed to use an SCP for their marketing process, which means a vast majority are missing the mark when it comes to creating and executing well-targeted campaigns. To deliver a memorable customer experience, you need to know your customer. With a clear outline of your target market, you can provide a much more personal service, which is likely to increase retention and loyalty – two factors that are very significant to customer experience ROI. To create a successful customer profile, draw data from all of your channels and take into account social, video, geolocation and other relevant factors. As you can see, optimizing customer experience to deliver a positive ROI (in terms of customer retention, loyalty and acquisition) involves a multi-channel, customer-centric focus. The 8 points we’ve listed above can be implemented in your business today, to deliver a memorable, personalized and effective customer experience. Steven Macdonald is an online marketer based in Tallinn, Estonia. Steven currently works as a Digital Marketing Manager for SuperOffice. Good article, Steven. I’d also suggest on optimizing the content on the product pages in order to boost conversion rates. For instance, adding customer reviews, or even better, product review videos. 96% of consumers find product videos useful while shopping, so that’s another way to inspire them to make purchases. Videos are a great addition to any product page and will almost certainly improve the customer experience.